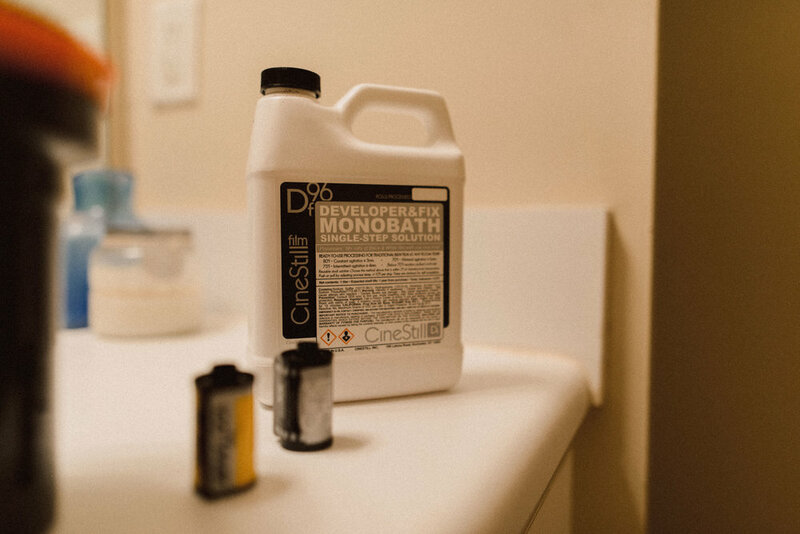 I recently bought some one-step Black and White developer from Cinestill thinking that a chemical that develops, stops, and fixes all in one step was pretty genius. Not sure how I've never seen anything like this before. This isn't an ad or anything, I just finally got to try it out this morning. Good news, the stuff works and takes no time at all. I decided to test it on a roll that I knew would not have anything great on it, although that will never be confirmed because I'm pretty rusty at winding film on a reel in the dark. 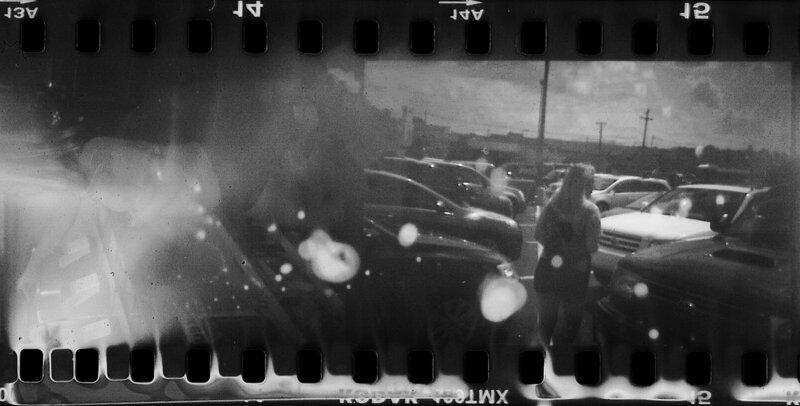 Basically, I screwed up winding the film so only parts of it got developed, and the rest got exposed to light when developing was over. It was my point-and-shoot car cam so I'm not going to cry over it. I'll make a post where I show my film scans (the above scan was jerry-rigged on a window) because my scanner doesn't want to cooperate at the moment. I'll have to go use the ultra-hi res scanner at Art Warehouse sometime later this week. Why do I do all this when I can pop an SD card from my camera into my computer and not deal with the possibility of severe mistakes and great frustration? Seriously, photography now has an "easy button", and it's called digital photography. 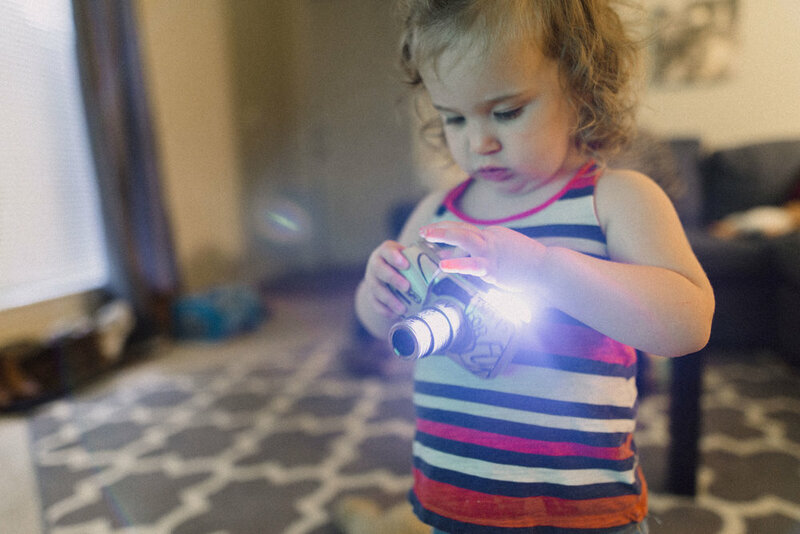 Why bother with standing around in a dark room adding 20 steps to your Instagram post? Not only that: if your goal as a photographer is to start a business, why shoot photos that do the opposite of help you make a living? I'm taking the devil's advocate stance on this because I really hate when people ask me that. My usual answer, if I wasn't concerned with being rude or not would be: "Why do you watch Netflix? You're never going to make money from sitting in front of the TV." Why do we do anything that doesn't make us money? Because enjoying things is nice sometimes. First is somewhat obvious: I once heard the king of entrepreneur motivational speaking, Gary Vaynerchuk, talk about how he basically understands UI/UX (User interface and user experience on the internet and in apps) because he understood the psychology of the average buyer. How did he understand the psychology of the average buyer? By working in retail and watching what people do, which to me seems like the most analog way to understand human psychology. I believe it, because if you've stood behind a cash register for an extended period of time, you begin to understand many people's motivations in a way you wouldn't have otherwise. Basically, by understanding an analog style of shooting photos, you will, by extension, have a greater understanding of a digital style of shooting photos. The terms carried over: you still crop, burn, dodge, etc, in Adobe Photoshop. It all still kinda works the same. It never hurts to understand where everything comes from. Understanding the history and finding out why things are the way they are is something that is valuable in just about everything in existence. Digital photography, arguably, has almost zero stakes. You can "machine-gun" photos and never miss a second; you're not limited to 24 or 36 exposures. You can see photos as you take them, so you know you're getting the right shot and not finding out that you missed the moment long after said moment has passed. Upping the stakes by shooting film is almost like putting on a blindfold in some sort of Karate Kid scenario. At the end of the day, doing things the hard way makes the easy stuff even easier. It just makes your work better and makes you more appreciative of how things are. Stuff just happens. The physical world has an incredible say on how your photo will look, not just in taking the photo, but in editing as well. You can't scratch or bend or spill something on a RAW file. You can't screw up development (see earlier black and white photo) of a RAW file, and you'd be hard-pressed to accidentally shoot a double-exposure digitally out in the field (although I do it all the time but that's neither here nor there). You can really screw up and it may turn out kinda cool. When I was shooting film for a photography class once, I accidentally shot a double-exposure because I forgot to wind the film forward. Later on, my whole senior project was a double-exposure series. Now, I shoot them in-camera digitally all the time. All because I was wasting time and screwing up an expensive roll of film. Third, I'm not shooting film for money, so I can have lower expectations and just relax. Fifth, when the EMP hits, I'll have all my negatives to remember my past life, before the apocalypse. I kid, I kid. But really, I've fallen victim to lost hardrives like any average citizen of the digital world. My future grandkids will be able to dig through my negatives and polaroids and get an idea as to what my life was like, just in case I fail to back up my files and archive them somewhere before I croak. It's kind of neat to think that I can make something that could out-last me. I can tell you right here and now before I even scan these suckers that they are going to be waaaay over-exposed. I'm not shooting for perfection, maybe just some memories and some cool mistakes that give me inspiration for my next project or give me an idea for a new style of shooting. Who knows? THAT'S THE POINT! At the end of the day, everything I do to practice and experiment with my skills is good for my business. Money is important, but there would be no money in photography for me if I hadn't shot film in the first place. Basically, here's a hard answer to the title question of this psuedo-listicle: Why do I shoot film in a digital world? Because I love it. I will sometimes will post my film stuff here or on my main Instagram account (@willmalone), but I've created a separate Instagram account exclusively for my film stuff. Go follow @will_on_film if you want to enter the next level of Will Malone Photography, or just want to see my mistakes, snapshots, and general weirdnesses.